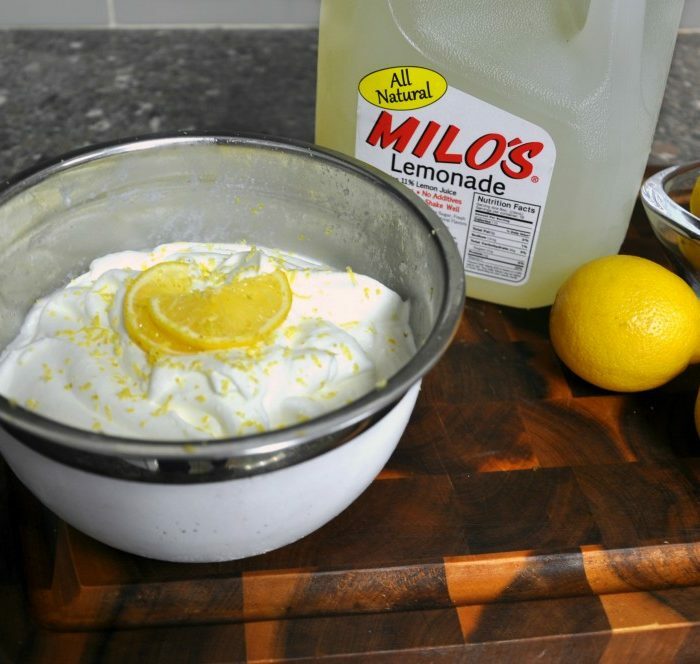 Lemonade Whipped Cream - Milo's Tea Company, Inc. 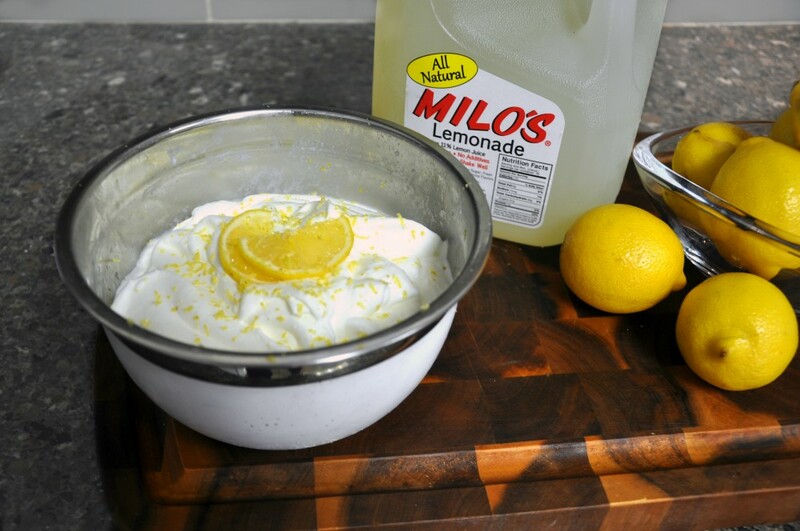 Freeze a metal bowl and whisk for 15 minutes. Immediately after taking bowl and whisk out of freezer, mix all ingredients together until stiff peaks form.